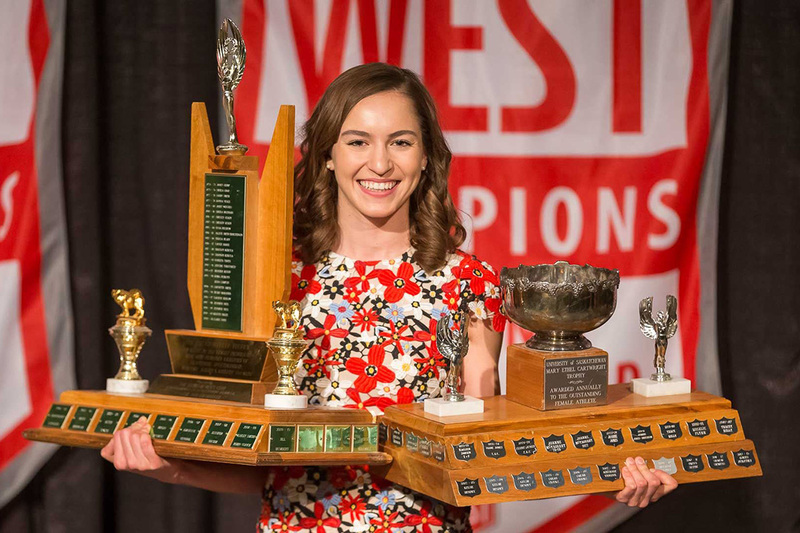 Julianne Labach and Taran Kozun are University of Saskatchewan Huskie Athletics’ female and male athletes of the year. It should come as no surprise that future accountant Colby Harmsworth is always one of the most accountable players on the ice for the University of Saskatchewan Huskie men’s hockey team. Jessica Vance found her calling after the most devastating injury of her life. He may not get the highlights or headlines, but Joseph Barker has been a key part of the narrative in the story of success of the Huskie men’s basketball team. There aren’t many athletes who earn national and international medals in the same year in two different sports, while also being honoured for their academic excellence. The University of Saskatchewan Huskies are Canada West football champions for the first time in 12 years and a win away from competing in the Vanier Cup national championship game.